While the sight of endurance athletes in the weight room used to be a scarce occurrence, nowadays professionals and amateurs alike have learned that hitting the steel, especially during the off-season and the build phases of their training, is a smart way to gain explosive speed and stay injury free. 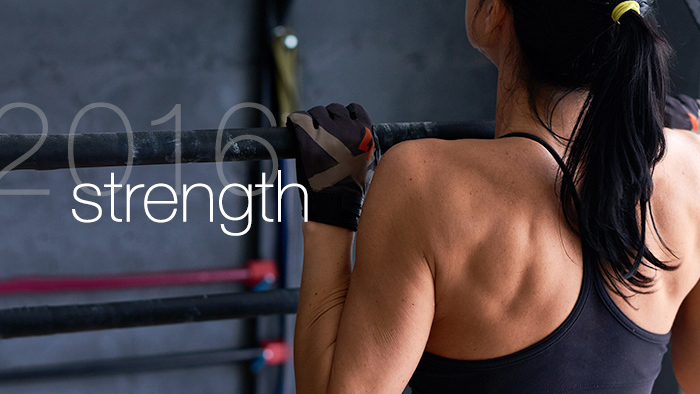 From killer plank routines to Olympic lifting techniques—here is some of our best strength-related content from the past year to help you start, build upon or perfect your strength program. A strong core is key for staying injury-free and increasing your efficiency as a runner, swimmer or cyclist (and pretty much everything else you do too). Master your planking skills with this primer on the best variations of this no-equipment, do-anywhere exercise move. Once you know what your sport-specific limiters might be (for example, weak hamstrings for the quad-dominant cyclist), you can use some or all of these seven key Olympic lifts to address them and become a more well-rounded, injury-free endurance athlete. This workout circuit promises big hip and core strengthening gains, which will help prevent injury, increase your range of motion, and energize your powerhouse muscles to prime you for race-day performance. Suspension trainers are a highly targeted and functionally efficient way to strength train. This five-movement circuit is an easy addition to your weekly training regimen and promises big returns in improving both core strength and full body mobility. Fitting a strength training program into an already jam-packed training routine can be tricky. In this article, you’ll learn how (and why) to prioritize strength training and make it a regular part of your training routine instead of an added item on your to-do list. You’ve added a regular strength training routine to your program, congratulations! Now what? Here’s how to take the foundational phase of your training and put it to good use out on the road to push new boundaries in your training and performance. Once you’ve started regularly adding strength to your training routine, you’re ready to take the next step and incorporate these more advanced movements for even greater strength and performance gains. Indoor trainer workouts are highly efficient and incredibly convenient when the weather outside is unbearable, however over time they can also lead to overuse and muscular imbalance issues or even injury. These eight strength and mobility exercises will help keep things in balance while you’re stuck inside. The unique demands of triathlon training require a highly specialized strength routine to keep muscle imbalances and injury at bay. These six movements should be the cornerstone of any triathlete’s strength routine. Adding yoga and meditation to your training routine is be a great way to improve strength, mobility and mental focus, which can pay dividends on race day both physically and mentally. Here are some tips for getting started with a simple but effective yoga and meditation routine. Still looking for more wit and wisdom to fuel your 2017 training? Check out the rest of our 2016 year-in-review series with our top-10 articles about multisport, running, cycling and nutrition.